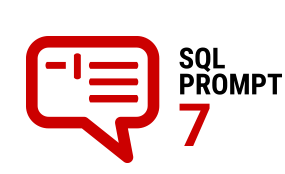 RedGate unleashed their newest version of SQL Prompt recently. It is no secret to those of you who know me that, where I work, we are a RedGate shop. Needless to say, even if I was not at my current employer I would still want this type of utility in my arsenal. A lot of data professionals are always looking for ways to “save time” or “get ahead” in their day-to-day activities and this is one utility that will help provide some lift in those areas. Tab History – being able to save or preview work that was done in SSMS allowing me to jump right back into where I left off is a huge benefit. SQL Formatting – enough said on this one. That’s right; I don’t have to go into detail; ever find that nasty code and you wonder who anyone can read it. Quick and easy option to format the code base you are working with. Auto Complete – if you’ve ever used something similar to this you’ll learn quick that this auto complete feature of joins etc. are pretty awesome. I always hear colleagues, co-workers, other community members that when this portion becomes unavailable they quickly realize how good they had it. Snippets – sharing snippets with other team members is huge. I’m proud to say that I’ve worked with this utility greatly and would recommend it as a viable option to improve efficiency. Don’t take my word for it though; as with anything try it out. Go check out the product here you won’t be disappointed. This entry was posted in Uncategorized and tagged day-to-day activities, RedGate by Chris Yates. Bookmark the permalink.